A close-up look at our week on Facebook! Do you like us on Facebook page? We highly recommend that you do! Especially if you are in the process or thinking about ordering custom pin-back buttons. Maybe you collect pin-back buttons or just like looking at cool button artwork. We have dedicated this page to our favourite pin-back buttons past & present that we have made either made for customers or have thrifted on our days off. The button artwork from our Facebook posts are a great source of reference material for your own custom button ideas. 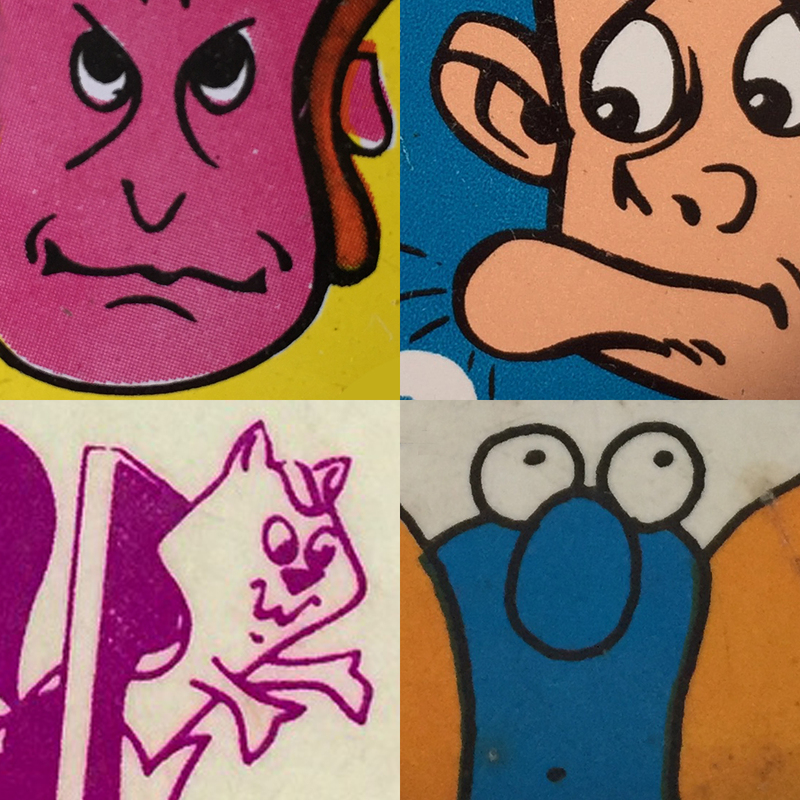 Here is a close-up look at some of the wacky button characters that stood out to us from last weeks Facebook posts.